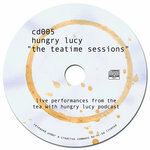 Russell Whyman Hungry Lucy's third album is described, as are the others, as 'Dark Wave'. It's a term I hadn't previously come across. 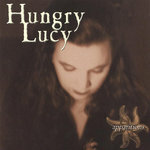 It's hard coming up with new things to say about albums by the same artist and Hungry Lucy is no exception. They produce excellent and well crafted songs which are a little different, performed with feeling and feature an exceptional female vocalist. Ethereal in places and poppy in others it is never less than engaging. AfroSlice Love the guitar and vocals. 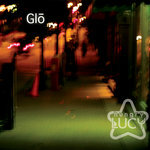 Favorite track: Rainfall. Rachel Rose Mitchell Sad about these guys splitting up! TKaK is a unique album with some really interesting tracks. High Price Of Mistakes is a close second favourite for me. Favorite track: To Kill a King. 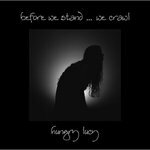 On their third full-length album, genre bending duo Hungry Lucy prove to us, yet again, that the confines of one musical style just won't contain them. "To Kill a King" seamlessly traverses the musical spectrum from somber darkwave to catchy pop without missing a beat. Fans of Hungry Lucy's first two releases, "Apparitions" and "Glō", will not be disappointed with this fresh batch of inspired electro-organic productions crowned with Christa Belle's haunting voice. While not purely a concept album, a common story runs throughout “To Kill a King” as Christa Belle's deeply personal lyrics lead you through a tale of oppression, grief and ultimate triumph. 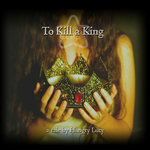 The title track, "To Kill a King" couples a driving Depeche Mode styled production with emotional female vocals. 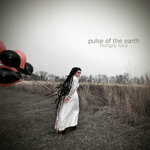 While "Rainfall" evokes the electrified songwriter feel of Dido or even Madonna in her more contemplative moments. The uplifting vibe of "Shine" pulls together elements from around the globe with a soaring vocal melody. The melancholy "Good Girl" is a stripped down piano & vocal wonder that tugs hard at your emotions, while the pure synthetic "High Price of Mistakes" manages to sound icy cold, yet emit a warm glow all at once. It's this type of beautiful contrast that Hungry Lucy are passionate about, and fully demonstrate on “To Kill a King”. Their talent for blending the familiar with the exotic captures you at first listen and leaves you wanting more. In total, "To Kill a King" brings you 13 new songs featuring additional vocals from Kristy Venrick of The Azoic and Alexx Reed of ThouShaltNot. The US release also features 4 bonus remixes from Null Device, Trigger10D and, War-N's alter-ego, F9 for a total of 17 fab tracks! Oooh ... I'm getting flustered just thinking about it! Track Name: Can You Hear Me? Won’t anybody listen to me?